The gallery Don’t Projects, the love child of German-American duo Johannes E. Hoerning and Chadd Kortge, recently settled down in Paris’ Marais area. Their curatorial practice tends to juxtapose relatively established artists, such as Christian Schoeler, besides sprouting talents like Cecile B. Evans. Furthermore, their shows have a recurring philosophical grounding: for example, past exhibitions addressed André Gide’s discussions of youth and masculinity, and Michel Foucault’s 'History of Sexuality'. Don’t Projects is now betting its game on young a Englishman of Russian and Greek descent, Jake Zervudachi. This is the video artist’s first ever show. 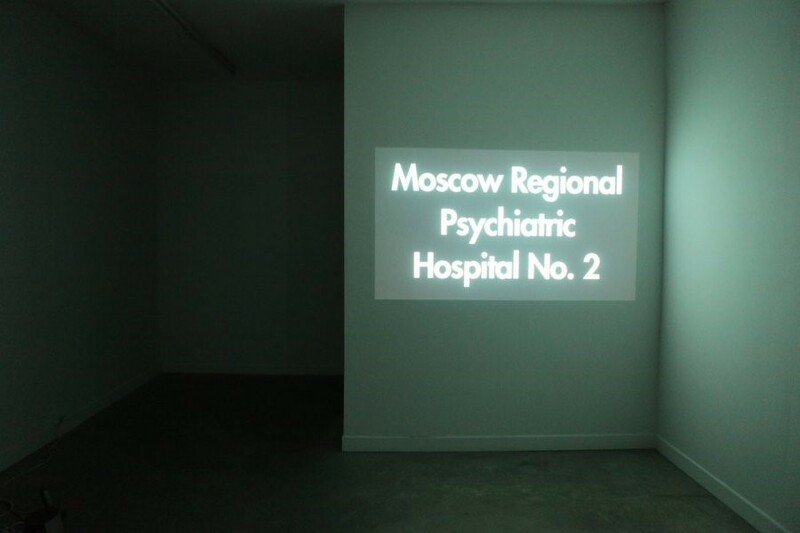 There, he presents photographs and films documenting his meanderings in a Russian hospital, his trip to the Gotheanum institute in Switzerland; his work reflects a quest for history, nostalgia, and humanity. Why give a solo show to a new film-maker with limited experience? Through his photographic and cinematic work, Jake Zervudachi builds up a gripping but subdued suspense in both his landscapes and his portraits of humans. He dares to face the brutal but poignant truth about humans and places, which most of us seem to have forgotten. - This is what fascinates me about his work and why I asked him to present it at Don't Projects.” says Hoerning, who curated the show. Jake Zervudachi talks to Dazed Digital about his fascination for Russia, Rudolf Steiner and the relation between film and “real life”. Dazed Digital: You are completely self-taught, and come from a design background. How did you end up in film? Jake Zervudachi: Well, I always wanted to work with images. I guess my first step was to quit art school, which I went to for a year and was fairly disappointed by. At the time I think I just wanted to get out of the traditional education system, I moved to Paris and worked in an Interior Design company for a couple of years. At this time, I rediscovered many films with more understanding, particularly the work Tarkovsky, which was a great inspiration for me. I began making small films at this time. It just turned out that film was the medium that was most suited to what I wanted to show. DD: You are partly Russian, and seem fascinated with the country. Why is that? many lined up in the corridors and in a terrible condition, it seemed these people had been put here and forgotten by everyone. DD: Is that why you decided to make a film about the hospital? elsewhere. I also discovered many other connections here. Anton Chekhov had been the local doctor in a nearby village and would send patients to his friend and contemporary Yakovenko. He visited the hospital often and even staged theatre performances there, inviting actors from Moscow, for the staff and patients of the hospital. Tolstoy also visited the hospital with his daughter and once watched a film there with the patients. I also managed to track down Yakovenko’s great granddaughter, Olga, who was a truly great help to me with the project, with a great amount of knowledge of her great grandfathers work and the hospital. The videos of the karaoke performances show patients at a neighboring psychiatric prison hospital I was taken to by the head doctor of Hospital #2. DD: Your work also demonstrates an interest in philosopher Rudolf Steiner. Although you don't want to be labeled as a Steiner-obsessed artist, what about him and his work inspire you? Why do you chose to interact with his work via the medium of film? work but I found a lot of great interest here. His worldview takes a firm standpoint, which allows for man’s spiritual development, showing that a purely materialistic position to explain society and mankind is impossible. In any case, while I am not a particular follower of Steiner and have only touched upon his work, I think his philosophical ideas do deserve some attention. are both on going projects. At this stage they are very much works in progress. My ‘big’ project is to make a biographical film, so I guess this is all research that will one day lead to that… I hope. DD: What are you trying to achieve through film? Is it at core, a documentary-based or art-based aim? out of these observations alone. Jake Zervudachi’s solo show is on at Don’t Projects, 75 rue Charlot, 75003 Paris from May 22nd to June 4rth.